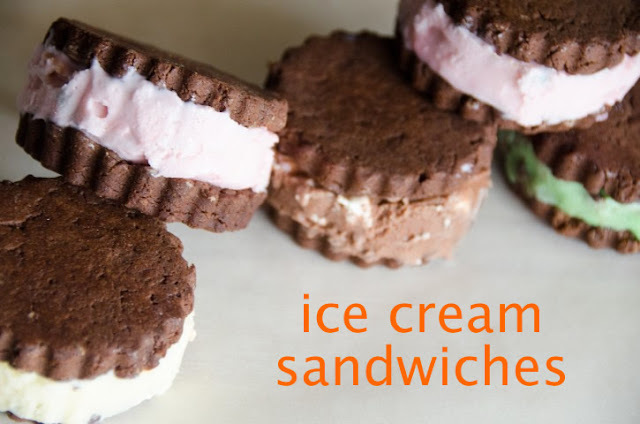 Its no secret that our family LOVES ice cream so I thought I would make them some ice cream sandwiches for an afternoon snack. I found a pan that would make the sandwich part of the ice cream sandwich at Target the other day. It was such a great deal that I thought I would give it a try. ice cream and sprinkles if desired. Heat oven 375F. Grease pan. combine butter and sugar in a large bowl and beat at medium speed until creamy. Add egg yolk and vanilla, beating until well mixed. 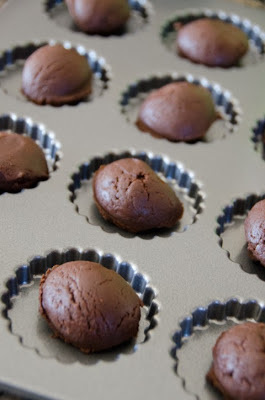 In another bowl, whisk together flour, cocoa powder, baking powder and salt. Set mixer speed to low and add dry ingredients to butter and sugar, beating until dough forms, adding water to help it combine. Press 1 packed, level tbsp of dough into each pan cavity. Press top with back of spoon to smooth. Bake 10 minutes. 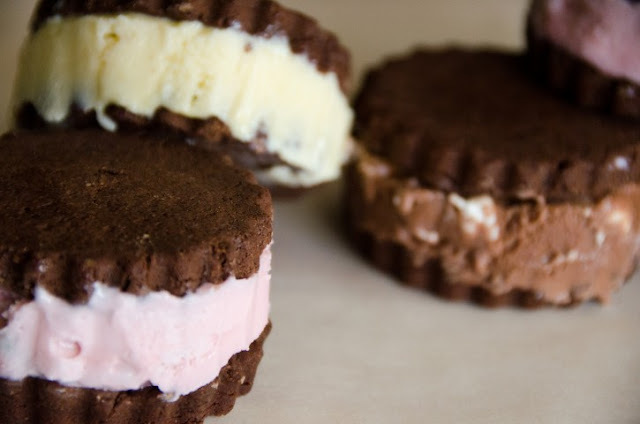 Cool on a wire rack 5 minutes, then invert pan to place approximately 1/4 cup slightly softened ice cream between two cookies. Roll in candy sprinkles if desired. 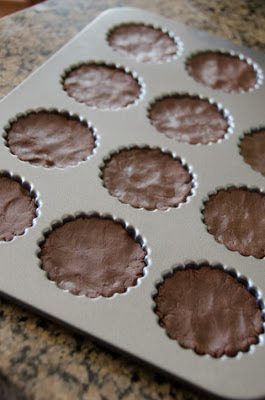 Freeze individual sandwiches on plate or cookie sheet 30 minutes. The cookies turned out firm and not very sweet and since it was refrozen, it was a little too hard for my kiddos. 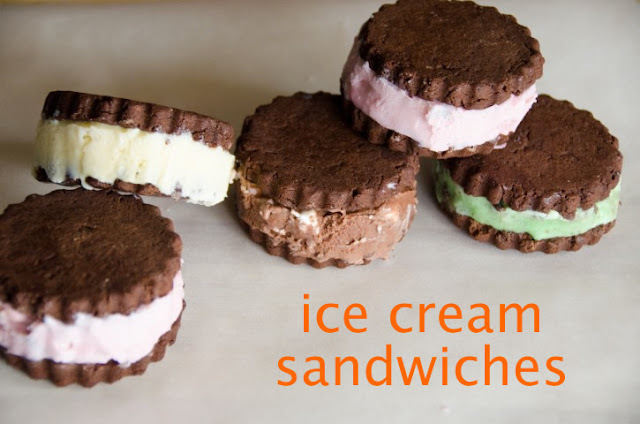 I should have served them right away after adding ice cream. Not every recipe is a winner and this was one of them. Although more than half of every sandwich was eaten, I didn't get the "Mom, you have to make this again!" cheer. 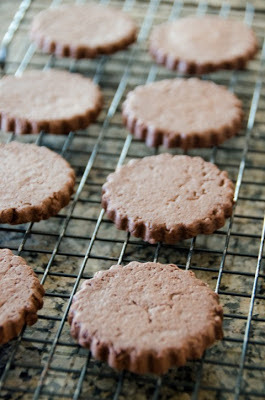 If I make these cookies again, I'd add a little more sugar and serve them right from the oven. It wasn't all a disappointment. After all, there was ice cream involved and with that are always smiles.